Netgear’s PR2000 Trek travel router finished first in terms of range, and it placed a strong second in terms of throughput. It doesn’t have as many features as some of its competitors, but it is well designed and is largely self-contained. You’ll never need to worry about packing an AC adapter, because it’s built in—just swing its blades down and plug it into a nearby socket. That and the aid of an articulated antenna helped the Trek deliver very high throughput—46.8 Mbps—when the client was in my home office, 65 feet from the router and separated by several walls. Two of the other routers I tested achieved only single-digit throughput at that location, and the other three couldn’t reach the client at all. With the client at close range—nine feet from the router and in the same room—the Trek delivered TCP throughput of 64Mbps. That’s less than half what the D-Link DIR-510L delivered, but twice what TP-Link’s TL-MR3040 managed. My experience was about the same when the client was in the kitchen, 20 feet from the router: The Trek delivered half the throughput of the D-Link router and twice the throughput of TP-Link’s. Not every travel router supports attached USB storage. 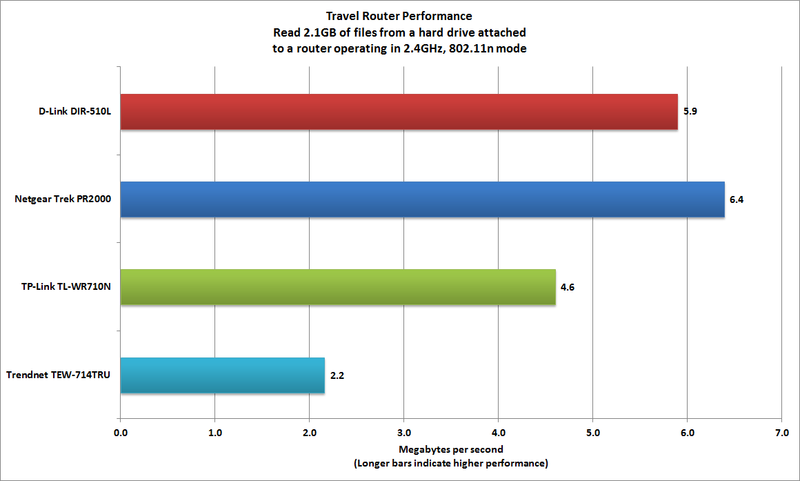 The Netgear Trek does, and it was the fastest of the four routers tested. 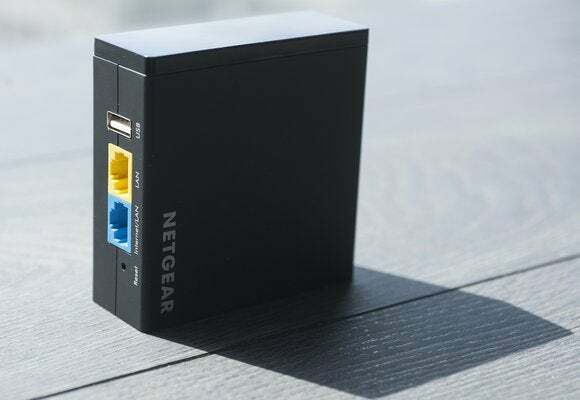 The Netgear Trek supports UPnP, but it doesn’t have a DLNA-certified media server. If you consider media streaming a critical feature, you might be happier with D-Link’s DIR-510L. 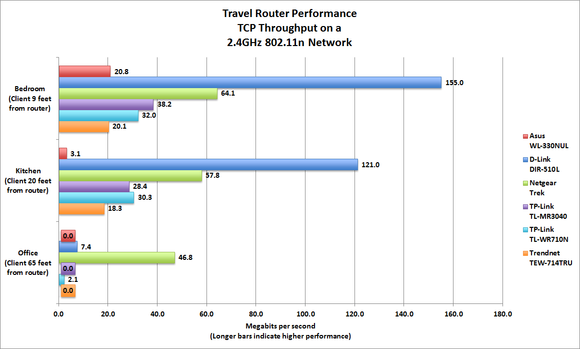 I don’t imagine that particular feature will be all that important to someone shopping for a travel router, but D-Link’s DIR-510L has that feature plus very high TCP throughput, the ability to operate on the uncrowded 5GHz frequency band, and it supports up to an LTE USB modem. Those features are hard to beat.